Ten crossbench votes appear to have been secured, but this is not over yet. Jacqui Lambie: "It is a yes, at this stage." CANBERRA -- The Turnbull Government needed either all of the Greens or the votes of 10 Senate crossbenchers to get its multi-billion dollar school funding package passed. And it appears it has managed the latter, but this Gonski ride is not over yet. 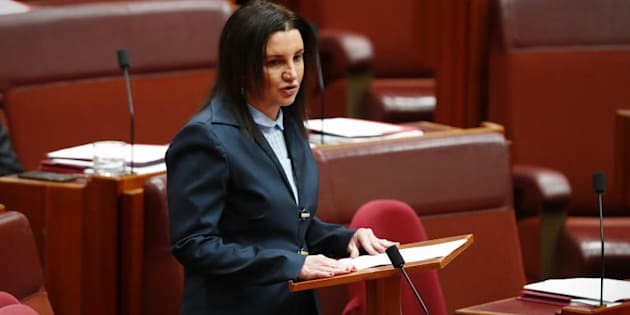 A short time ago, Tasmanian Senator Jacqui Lambie indicated she would become the tenth crossbench senator prepared to support the revamped plan. Lambie joins the three senators of the Nick Xenophon Team (NXT), the four representatives of Pauline Hanson's One Nation, Senator Lucy Gichuhi and Senator Derryn Hinch. But Lambie says there's a few more issues she wants to speak to the Minister about before casting her vote. She is very concerned about teacher standards and funding for disabled students. "At the moment I have told Minister Birmingham that I am swayed by what he's doing, but there are another couple of things that need to be nutted out. That will be between myself and the Minister. I will be doing that for the rest of the afternoon. We will see what comes out of that. It is a yes at this stage." The Greens were close, but were yet to arrive at their collective decision on whether or not to support 'Gonski 2.0'. The Greens want more money for the education system, but not long ago, Greens Senator Janet Rice referred to the package as a "dog's breakfast". The news of the numbers shifting on the crossbench means the Turnbull Government could pass the measure without the Greens, but as no vote has been taken yet this is not a "done deal". What's officially on offer at the moment is still $18.6 billion over 10 years, including a five percent increase for public schools.